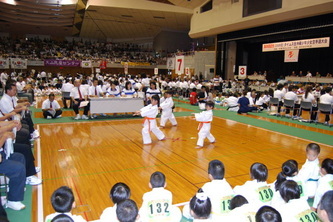 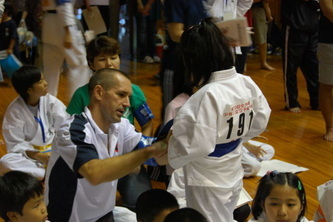 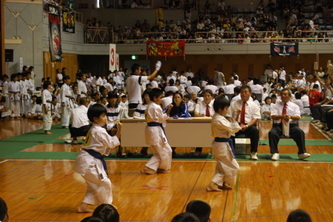 The Okinawa Times newpaper sponsored this years youth tournament, which was held at the Okinawa Kenritsu Budokan on 20. July. 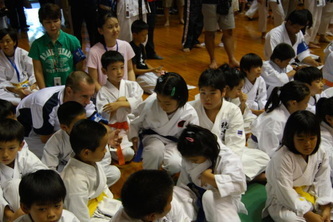 2500 kids from 128 dojo's took part in the event. 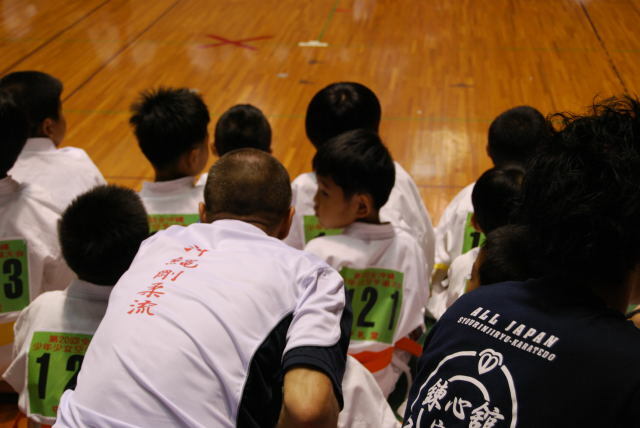 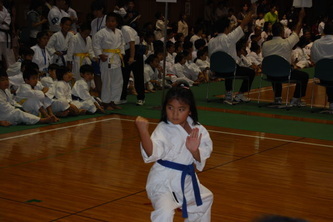 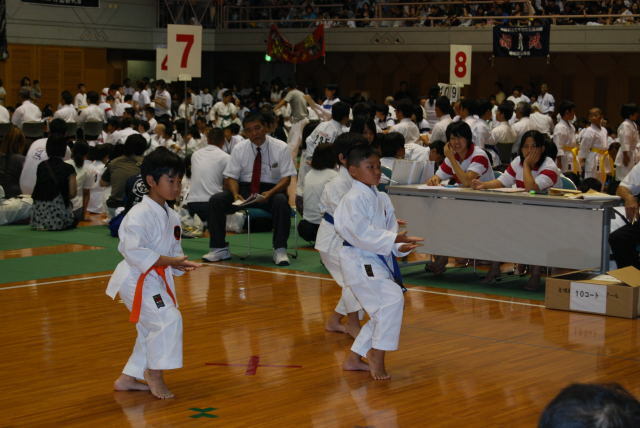 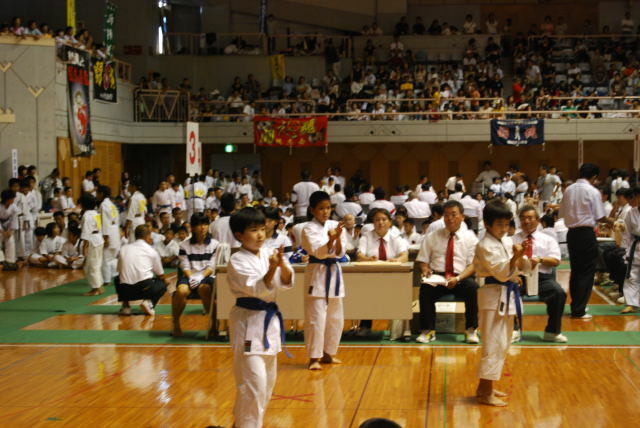 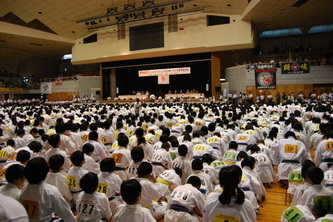 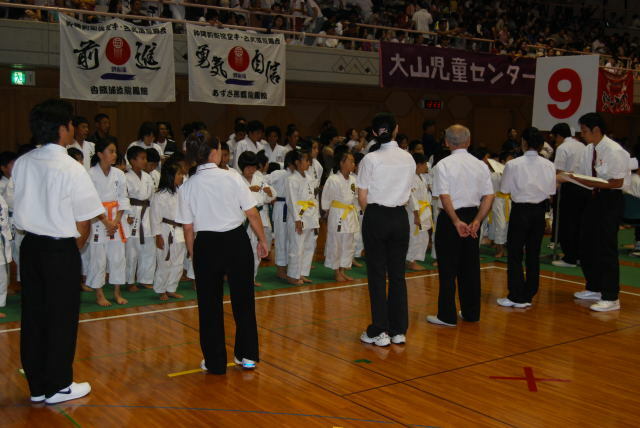 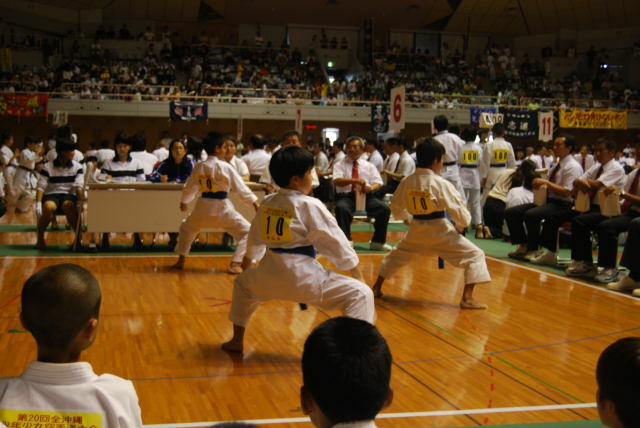 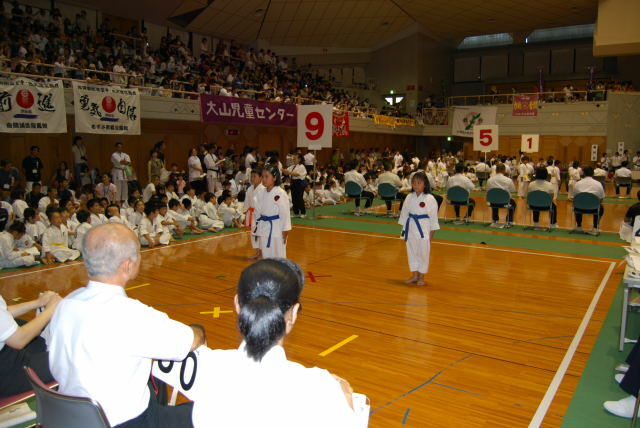 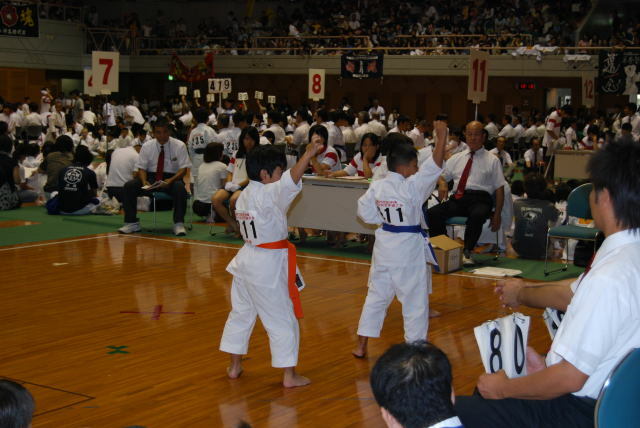 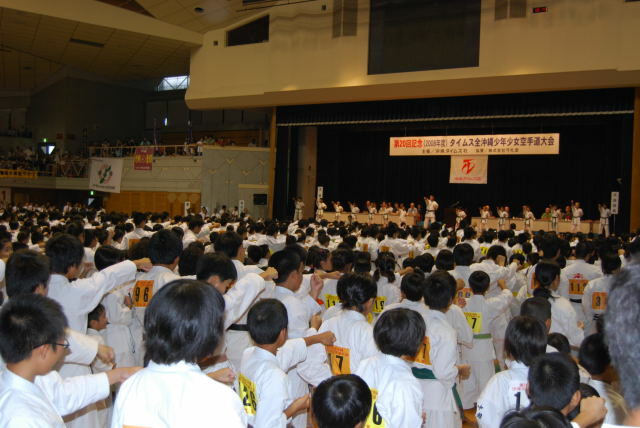 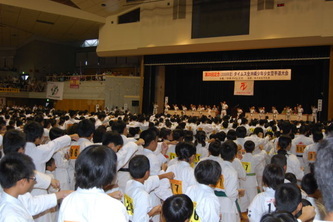 This is Okinawa's largest youth karate tournament, welcoming all styles. 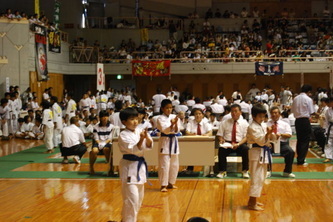 We participated with seven teams (3 more than last year). 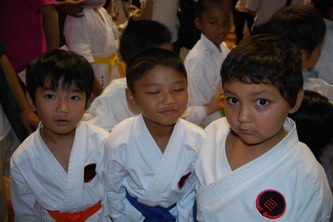 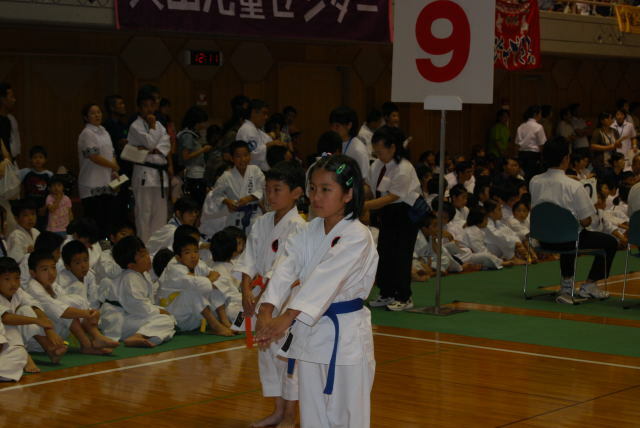 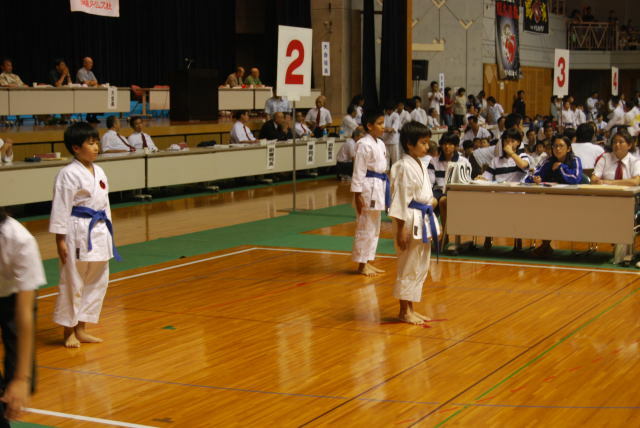 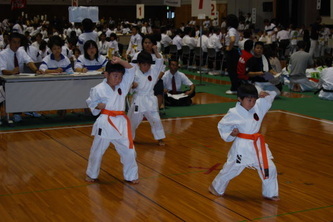 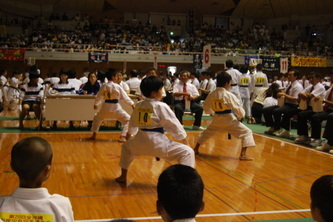 Each team of 3 kids competed in Gekisai Dai Ichi, Gekisai Dai Ni, Saifa and Seiyunchin Kata.